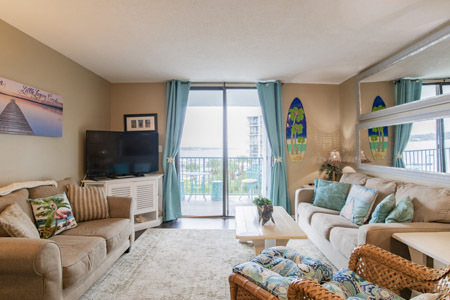 Getting to the beach is never going to be problem. 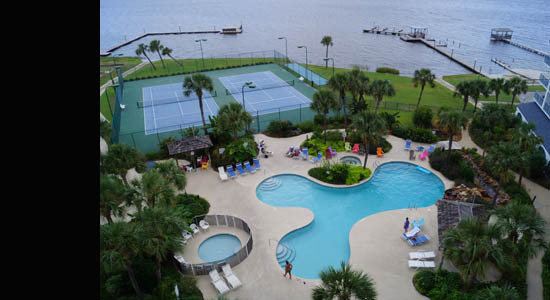 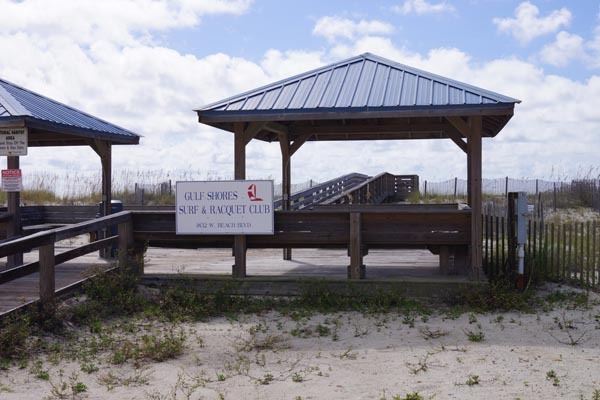 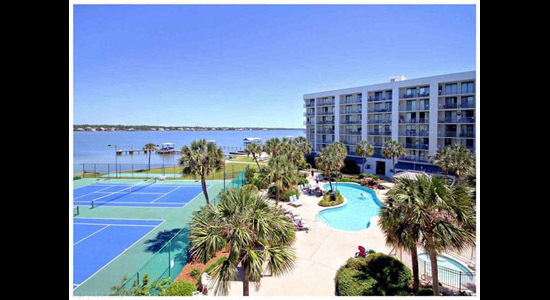 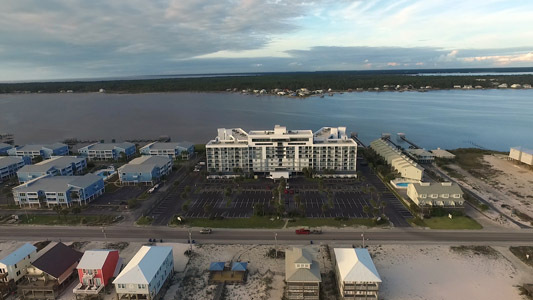 Directly in front of the complex, across a low-traffic two lane street, is 100' of beach just for the Gulf Shores Surf and Racquet Club complex, which has gazebos and a walkway for guest's convenience. 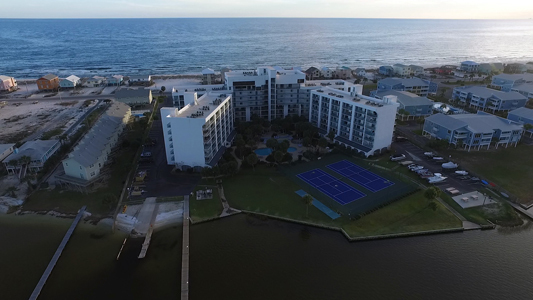 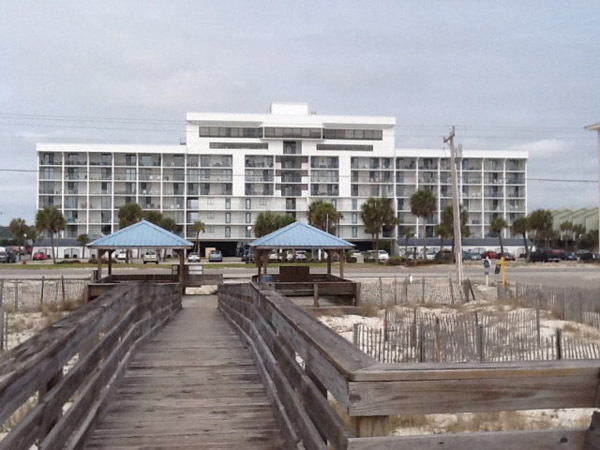 Below is a view looking back at the Gulf Shores Surf and Racquet Club condominium complex from the beach. 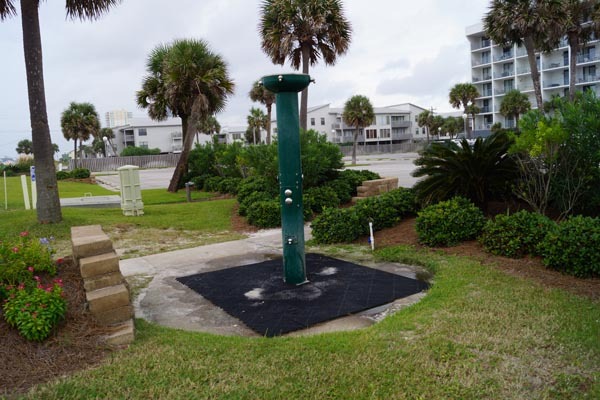 Here is a handy little shower that is on the way back from the beach to wash sand off your feet.